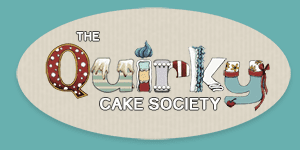 Quirky Cake Society is run by myself Ainsley Hayes in Bateau Bay on the central Coast, N.S.W , my passion was discovered when I started making cakes for my 3 gorgeous children. It was an instant love for baking and cooking and creating. I am very fortunate, my passion for visual arts has transpired into cake art. I have created fabulous “quirky” cakes for celebrations from birthdays up to religious occasions such as christenings, confirmations and communions. Each celebration is unique, in turn I treat each cake design with the same respect. My ultimate reward is customers joyfully collecting their cakes seeing their personal reflection, and that is what makes it special. So many of my customers (kids and adults) say after seeing their cake they almost don’t want to eat it, but when they do they TASTE so scrumptious. I am based in Bateau Bay on the Central coast, NSW , and can deliver to as far as Newcastle and Sydney, my cakes prices start from $240 . Each cake is individually price depending on cake size, cake type, amount of detail on the design. I created a variety of cake styles, please take a look in my portfolio for the range or fill out the enquiry form to see if we can design a cakes that can bring excitement and joy to your next celebration. I can design or use inspiration from cakes you like. If you are just after a cake topper feel free to ask for a quote. Fill in my enquiry form for details about how to have a fabulous cake at your next celebration.